Congratulations! You have successfully registered for the "SAP MM Training" event. You will receive an email shortly with the event details. SAP MM (Material Management) is a module of the SAP Enterprise Resource Planning (ERP) package that is used for Procurement Handling and Management. SAP MM is a material management tool that can help automate and streamline corporate Procurement Handling and Inventory Management (in other words it is about managing resources). Materials management is well integrated with other modules such as SD, PP and QM. SAP Materials Management (SAP MM) is one of the most important SAP functional modules that deals with management of material and inventory that helps to run any business operation smoothly. SAP MM module also supports other logistic functions where material and inventory information is required. SAP MM plays vital role in speeding up the procurement and material management activities as well as to run business operations. 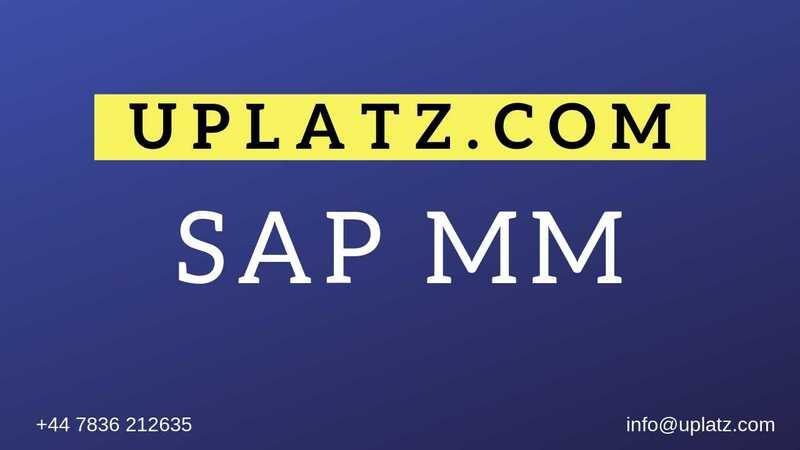 Uplatz.com offers comprehensive SAP MM Training course with focus on imparting world-class quality. This course will equip you with knowledge and hands-on practical business scenarios. SAP MM course will also prepare you for the job market as well as for SAP MM certification. Our SAP MM training course is delivered by highly experienced and expert tutors. We will also provide you SAP MM training material, tutor notes, all sessions video recordings, free server access, and a lot more. If you are looking for the SAP MM online training provider, Uplatz is one of the most reputed SAP online training providers in the market. All our SAP courses have been designed by experts and can help you learn the SAP modules from basics to advanced level. The SAP MM syllabus focuses on practical and project sessions along with comprehensive explanation of concepts. MM trainers will help the students to work on SAP Materials Management software and learn the functions and configuration involved in management of material and inventories of any organisation. Our aim is to provide high class SAP MM online training that will not only help you in the practical learning of major business processes of SAP MM but also to equip you with the knowledge to qualify in SAP MM certification exam. Anybody who is interested to learn SAP MM People with Retail Experience, people looking to build a career in Retail Industry. SAP MM online training & certification program can be learned by working professionals/SAP functional Consultant or Any interested Graduate who have computer literacy. What will you learn in SAP MM course? · You will learn about Introduction to ERP & SAP, Master date, Inventory management, purchasing, Invoicing etc. What certification Exam student can give after this course? SAP MM Certification is required after successful completion of SAP MM course to validate your knowledge & Skills. · Enterprise can be defined as a group of people working to achieve a common objective using a specified set of resources. It is also known as Company / Organization / Firm / Business / Industry. 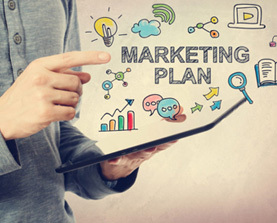 · Planning - It is the process of optimizing the utilization of resources to best achieve the objective. 3) WHAT ARE DATA TYPES IN SAP? 4) WHAT IS ENTERPRISE STRUCTURE? An Enterprise structure is used for defining the company's operational structure into the SAP instance (An SAP instance is a copy of the SAP application installed in one physical server). The operational structure is dependent on the kind of business activities carried out in a company. Usually, these activities can be divided into three groups: Manufacturing (OR) Trading (OR) Services. 5) WHAT IS MASTER DATA IN SAP MM? It is defined as the set of data which remains constant for a long time in the database. Each Component will have its own set of Master Data. For the MM Component, the following are the set of Master Data. 6) WHAT IS PURCHASING REQUISITION IN SAP MM? 7) WHAT IS REQUEST FOR QUOTATION(RFQ) IN SAP MM? 8) WHAT IS QUOTATION IN SAP MM? 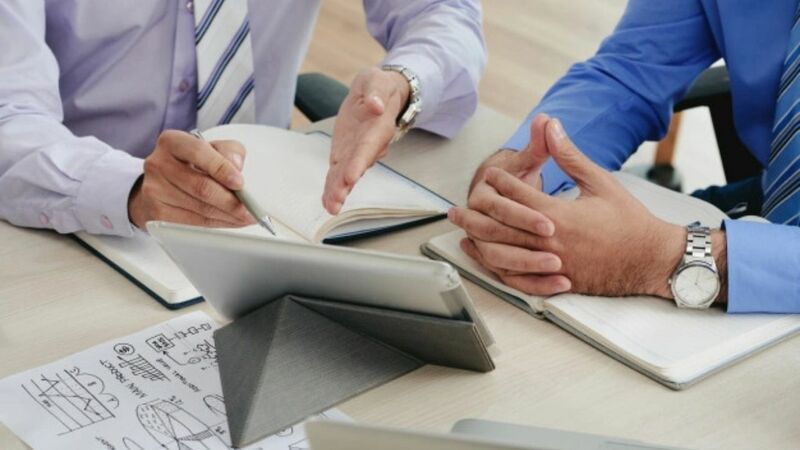 It is the document which is used for maintaining the price & other purchase terms at which each Vendor is ready to supply the material or provide the service to the specified Plant under the specified Purchasing Organization. 9) WHAT IS PURCHASING ORDER IN SAP MM? It is a type of purchase document which is used for acquiring the material / services from an external source. Usually, this document is legally binding on both parties. In most of the Company Codes, Purchase Order is one of the frequently used / created documents. 10) WHAT IS INVENTORY MANAGEMENT? It is used for managing the stock of the different material used in the Company Code. Stock is normally divided into three types. · Unrestricted Stock: The Unrestricted stock is the normal stock and is used for any issues / transfers or uses. Whenever material is normally used in the Plant, it is the Unrestricted type. No other stock type can be used for internal / external issue. · Quality Inspection Stock: The Quality Inspection Stock is used for maintaining the stock of material kept aside for checking the quality of the material. It is not used for any other purpose. · Blocked Stock: Are the stocks rejected due to bad quality of the material. 11) WHAT IS GOODS RECEIPT IN SAP MM? Goods receipt is nothing but the movement of goods or materials in the warehouse. These goods may be received from external vendors or in-plant production. Good Receipt will always lead to increase in the stock of the warehouse. Most of the time, stock is received with reference to a Purchase Order. 12) WHAT IS RETURN TO VENDOR IN SAP MM? If the organization wants to return the material already purchased by a vendor due to any reason for example damage or quality issues etc then they can do so in SAP MM system. 13) WHAT IS STOCK TRANSFER IN SAP MM? Stock can be moved between storage locations between different plants or within the same plant and between stock types for various reasons. 14) WHAT IS GOODS ISSUE IN SAP MM? Goods issue in SAP MM is moving the stock out of inventory due to several reasons. 15) WHAT IS RESERVATION IN SAP MM? It is the process of keeping aside stock of any material for a specific purpose. The purpose of reservation is identified by the movement type used for issuing stock to that purpose. Reservation of stock takes place only against Unrestricted Stock Type. 16) WHAT IS PHYSICAL INVENTORY IN SAP MM?? It is the process of checking the physical stock against the system stock on a periodic basis. Every company that maintains stock of any material carries out this process on a regular basis. The regularity / periodicity of this checking differs from company to company. 17) WHAT ARE SPECIAL PROCUREMENT TYPES/SPECIAL STOCK IN SAP MM? These are used for specifying the purchase types other than the standard / regular purchase process. These are carried out in specific companies / situations based on the process requirement. 18) WHAT IS EXTERNAL SERVICES MANAGEMENT? Service can be defined as an activity provided by an external source in order for the Company Code to carry out its business activities. 19) WHAT IS MM INTEGRATION WITH FI/CO? It is carried out to ensure the value of all the transactions is updated in the relevant G/L account automatically. For this update to happen, the G/L accounts need to be created for the relevant plant/posting location. 20) WHAT IS MM INTEGRATION WITH PP? The integration with PP is carried out to ensure the material stock required for various production activities is maintained as per the production schedules created in the specific plant. This integration process is called as the “Requirements Planning” process (MRP). With SAP MM training and certification, you would get following career and Job opportunities. The average salary ranges from approx. £40,648 per year for SAP MM Consultant to £125,757 per year for SAP MM Lead/Manager. There are currently 23,000+ open SAP MM jobs in UK ranging from MM end-users to consultants to managers. Vendor is another term for a supplier from which a Company Code purchases material / services required for carrying out various business activities in the Company Code. 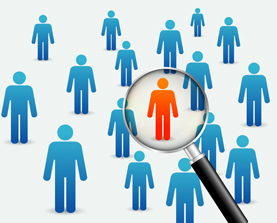 At the very basic level, Vendors are divided into two types: Regular and One-Time. Purchasing Info Record is a document for maintaining all the purchase related information for purchasing a material / service from a vendor for a specific Plant handled by a specific Purchasing Organization. This document is also called as Info Record or PIR. Batch Management is used for easy management of stock. Whenever stock is received on a continuous basis or if the stock received has an expiration date, then these details can be easily maintained by using the Batch Numbers assigned to the stock. Logistics Invoice Determination is used to identify the process of invoice verification and entry by the MM end-users. In the real-world, about 5% of the time MM end-users will carry out this process. In order to verify and post the vendor invoice, the relevant tax codes have to be activated in the country in which the Company Code operates. Important components of SAP MM are to define requirements, determination of sources, vendor selection, processing of order, client follow-ups, receipts and inventory management, stock & bills verification of bills and payment to vendor, and the like.